Gold Star Cigars - Buy Premium Cigars Online From 2 Guys Cigars . Remember the feeling of getting a Gold Star on a paper when you were in school. One little sticker could make you feel like a superstar. Well fast forward to today, your school days are most likely behind you but there's no reason why you can't still brighten up your day with a Gold Star. 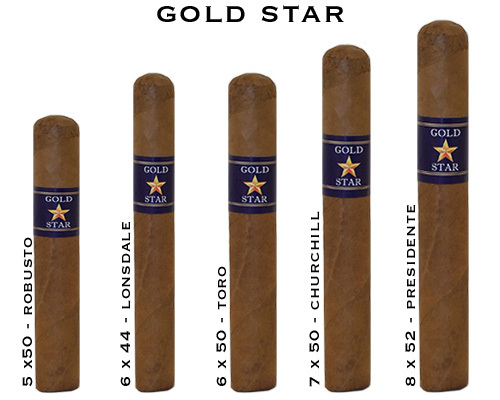 The Gold Star cigar is made in the Dominican Republic and offers a smooth, creamy flavor. This reasonably priced cigar could be your next choice for an everyday smoke. It definitely deserves a "Gold Star."